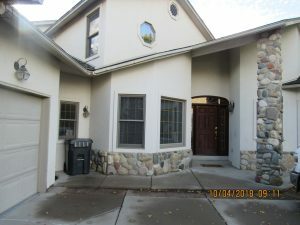 70 Rampart Place, Battlement Mesa - Cheryl&Co. ATTRACTIVE 2-STORY HOME IN BATTLEMENT MESA! 3 Bedroom, 2 ½ bath home, 2 car garage, located in Battlement Creek Village. Includes a refrigerator, range, wall oven, microwave, dishwasher, washer & dryer. Evaporative cooler and gas hot water heat. Large lot. 2521 Sq. Ft. Built in 1995. Tenant pays ALL utilities. Rental amount includes internet service. AVAILABLE NOW. No Smoking. No Pets. $2,260 month rent. $2,500 Deposit. 1 year lease.